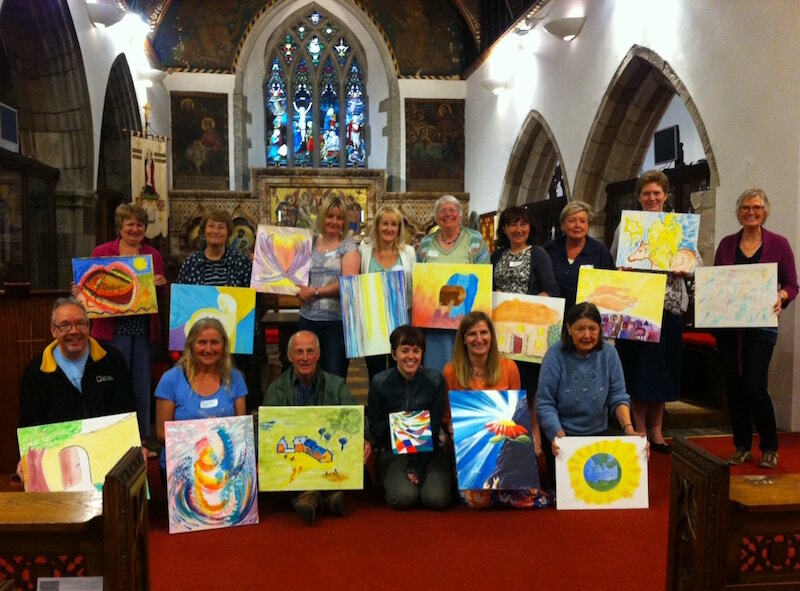 A prophetic art workshop can be designed especially for you, from one to five days, according to the needs of your group, community, school, church, ministry or organisation. Contact Bhari to find out more. on a Saturday in Bath each year. 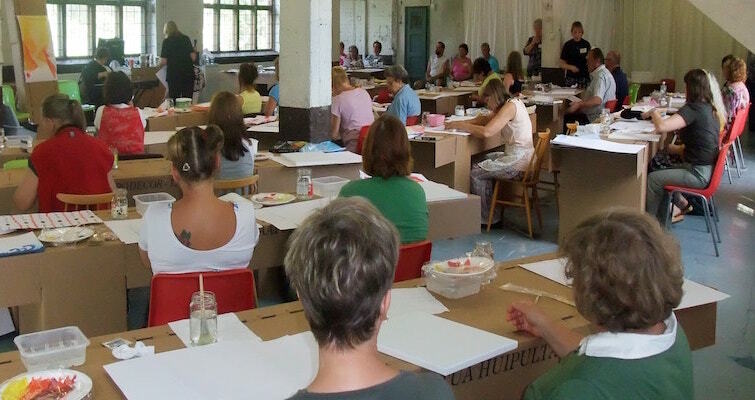 This one day workshop provides a great introduction to prophetic art and is designed for everyone, whether you are already a seasoned artist or have not picked up a paintbrush since school. See EVENTS. The five day prophetic art workshop is, in effect, a prophetic art course, covering everything you need to know about prophetic art and more! The ‘Encounter (God) Exhibition’ of prophetic art is included. This can be arranged over the weekend from Friday afternoon to Sunday afternoon or over a week. To find out about the prophetic art retreat at Nicholaston House on the Gower in Wales this year, see EVENTS. Starting with a prophetic art workshop on Saturday, followed by a ‘Meet the Artist’ evening get-together, prophetic art is demonstrated during the Sunday morning service and everyone is invited to the ‘Encounter (God) Exhibition’ of prophetic art by James and Bhari before and after the service. See EVENTS for what is already happening this year. If you cannot wait until the next prophetic art workshop advertised, phone Bhari on 01225 873303 and find out more about the bespoke 1 to 1 prophetic art workshops that can be arranged on a mutually agreeable date and will be tailor-made especially for you. For 12 people or more, we can bring the prophetic art workshop, course, retreat or prophetic art church weekend to you. We are also available to offer prophetic art workshops and sessions at your event or conferences.